Confirmation is one of the sacraments of initiation in the Catholic Church. Every baptized Catholic should eventually receive the sacrament of Confirmation. To prepare for the reception of the Sacrament of Confirmation (usually administered to teenagers in the Roman Catholic rite of the Church), candidates are asked to choose a sponsor. This sponsor helps to educate them about and prepare them for the Sacrament of Confirmation, and stands with them during the administration of the Sacrament. 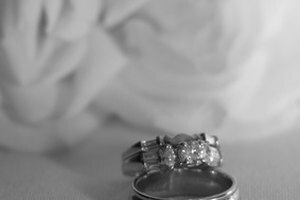 The role of Confirmation sponsor does not end with the reception of the Sacrament - your Confirmation sponsor will be a guide for the rest of your life as an adult in the Faith. This how to will provide a guide to selecting an appropriate sponsor for your Confirmation. 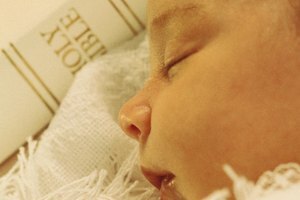 Is one of your baptismal godparents available to be your Confirmation sponsor? If so, that is the best option, since this emphasizes the unity of the Sacraments of Baptism and Confirmation. 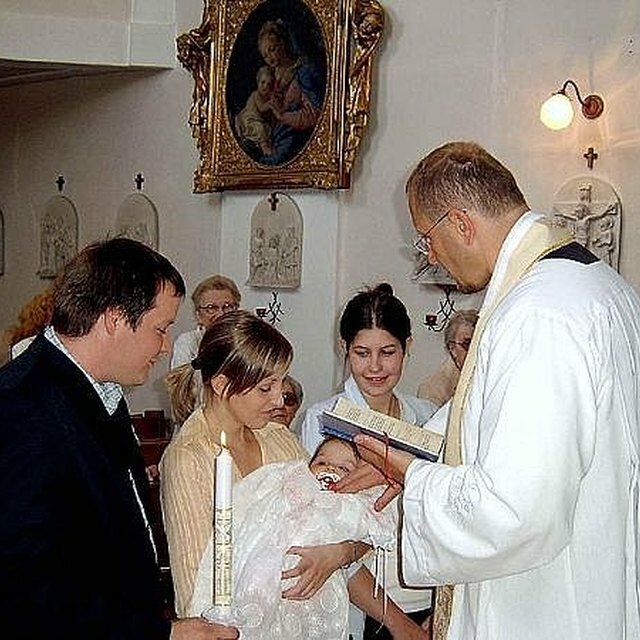 Check whether or not one of your godparents is able to be your Confirmation sponsor. If neither godparent is available to be your Confirmation sponsor, then you must select someone else. First, check whether or not your prospective sponsor is a Catholic. Your sponosr must be a practicing Catholic who lives the life of faith. 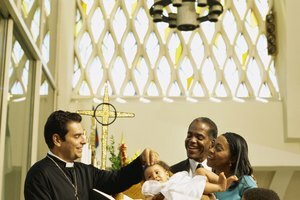 Check whether or not your prospective sponsor has received the sacraments of Baptism, Confirmation, and the Holy Eucharist. Your sponsor must have received these sacraments of initiation. Check whether or not your prospective sponsor is over the age of 16. Your sponsor must be at least 16 in order to be sufficiently mature to give you guidance in the faith. Although any other relative could be a suitable choice, you cannot have either of your parents as your Confirmation sponsor. Finally, your Confirmation sponsor's role involves giving support and guidance to you in preparing for Confirmation, and also a good example in their own way of life. Be sure to select a sponsor who leads a virtuous life as a faithful Catholic. Contributor. "How to choose a Confirmation sponsor." Synonym, https://classroom.synonym.com/how-to-choose-a-confirmation-sponsor-12079783.html. 29 September 2017.